Ici cafe , 10th July. Ici Cafe is located in a quiet street just of Johnston St. It’s a small, homely place, where most people are ‘locals’. Being a cold Melbourne morning, sitting by the doorway wasn’t the best position, however, it was warm inside. Small kitchen, bar and counter, it wasn’t a place that could serve many people. But that was the good thing about Ici, small and cosy. Really similar to many of the places around the area. I wouldn’t say a discerning area, however, a little different to some of the others, Acland St, Degraves, etc. 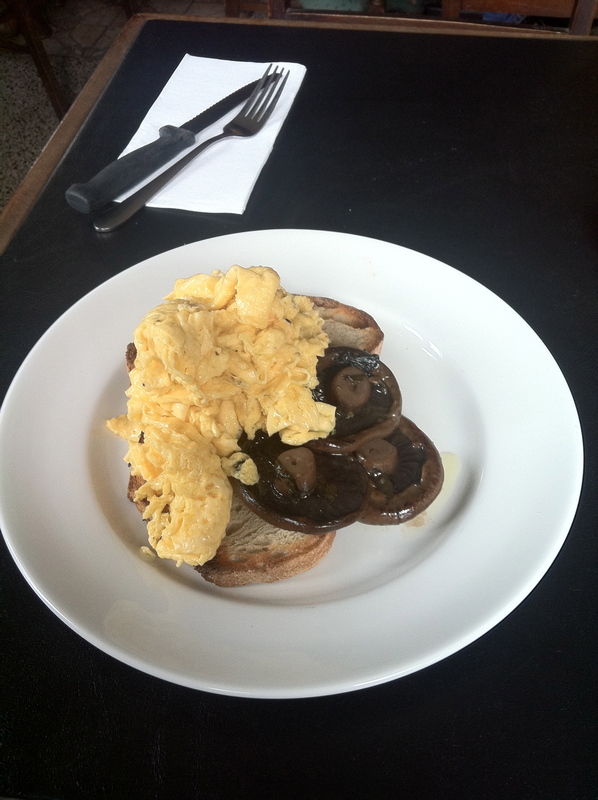 The standard, scrambled, with a side of Mushrooms. It really is my trademark breakfast !! It was nice. Good texture, great taste, and the mushrooms were cooked pretty well too. Nice breakfast. Using a La Marzocco machine, I wasn’t sure which beans they were using. Couldn’t see a brand near the machine. 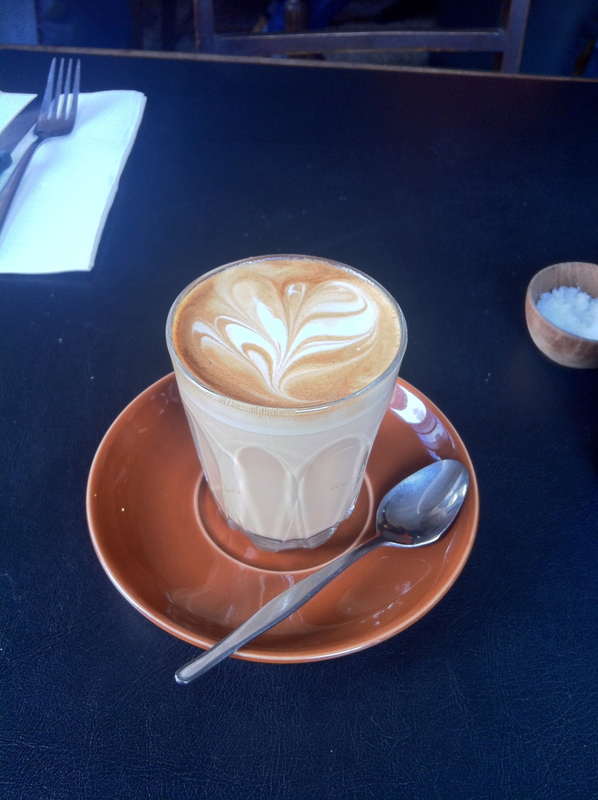 The coffee had a strong aroma, with a slight acidic tinge as soon as it hops on the tongue. Nice, smooth texture, and only a smidgen of bitterness after the coffee has gone down the throat. Nice indeed. Rating . 6 Good, balanced coffee.